I've read the first book by not any of the others yet, mostly because I wasn't that IN to it, but over this past winter I started and finished The Infernal Devices so I've promised myself that I will attempt to finish TMI. I find the books to be more interesting than the show. I have read the books multiply times and really like them but the show kind of rushed things a little. I still like the show and can't wait for the new season! I watch the series with my daughter who loves the books and wants me to read this. I haven't read it yet. Enjoyed your review. Happy Reading! 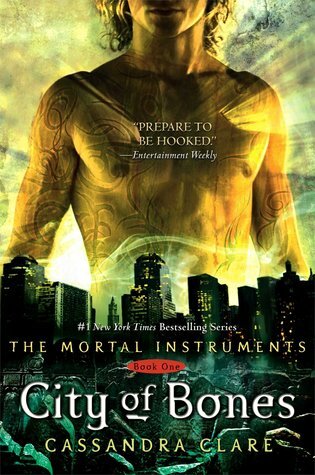 I read City of Bones for the first time just a couple of weeks ago and enjoyed it more than I thought I would. I completely agree that it feels better reading this knowing that not every man and their dog are going on about it, it gives me time to soak it in and make my own opinions about them. I also found that "twist" pretty underwhelming so I hope they can remedy or make some sense out of this soon.